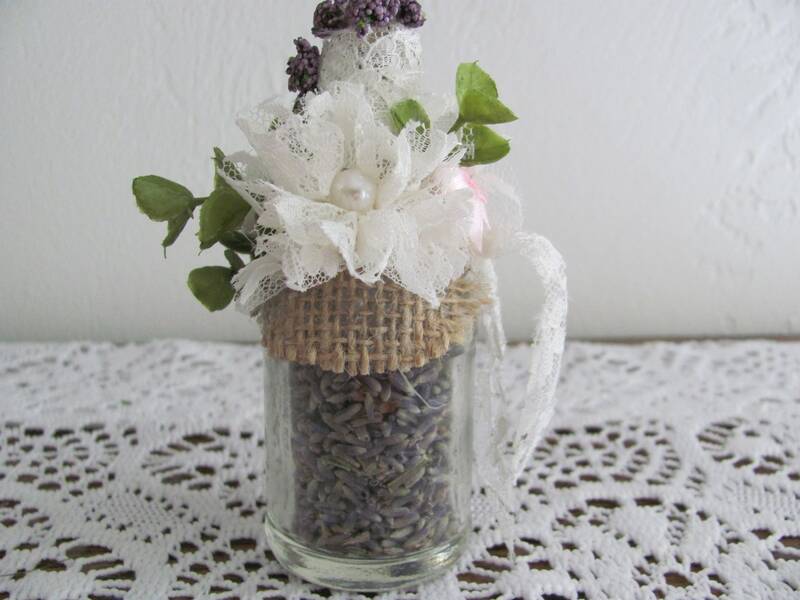 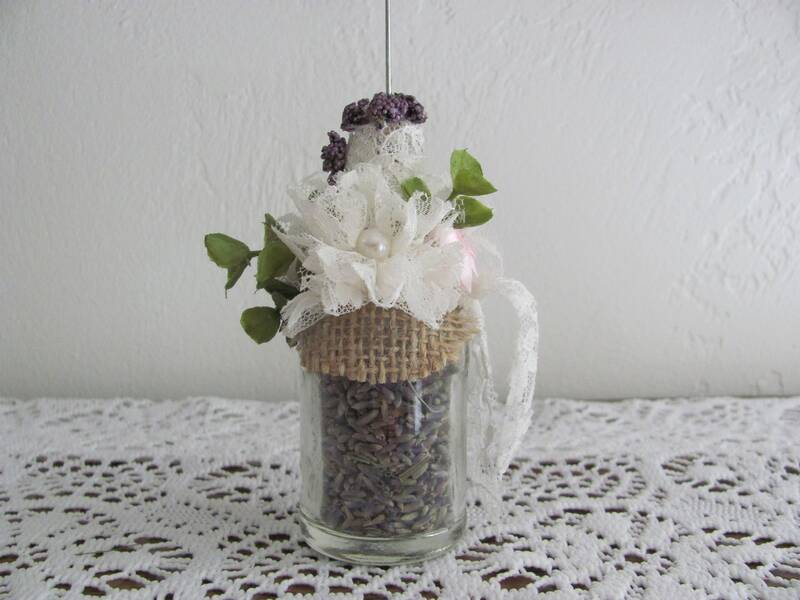 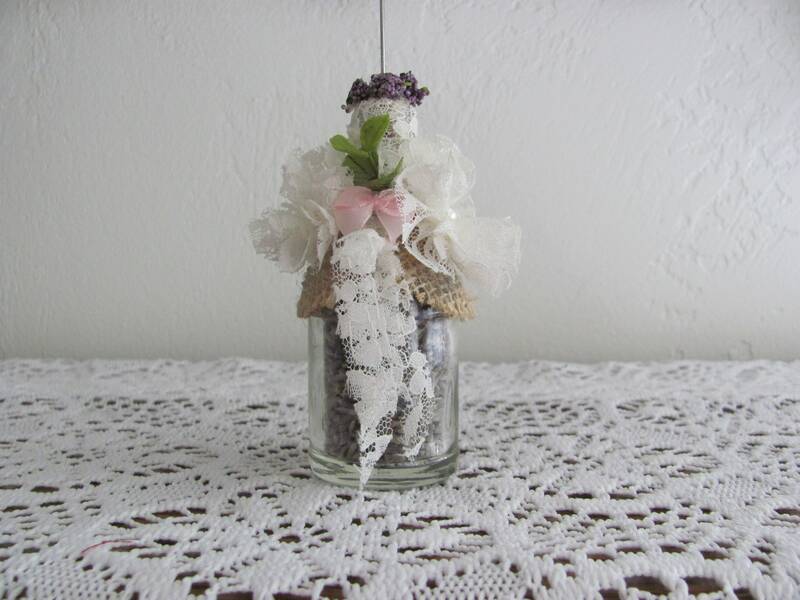 Pretty hand decorated glass mini bottle filled with lavender and corked and then decorated with handmade lace flowers with pearl centers, burlap, lace, pearls and pink ribbon and faux eucalyptus sprigs. 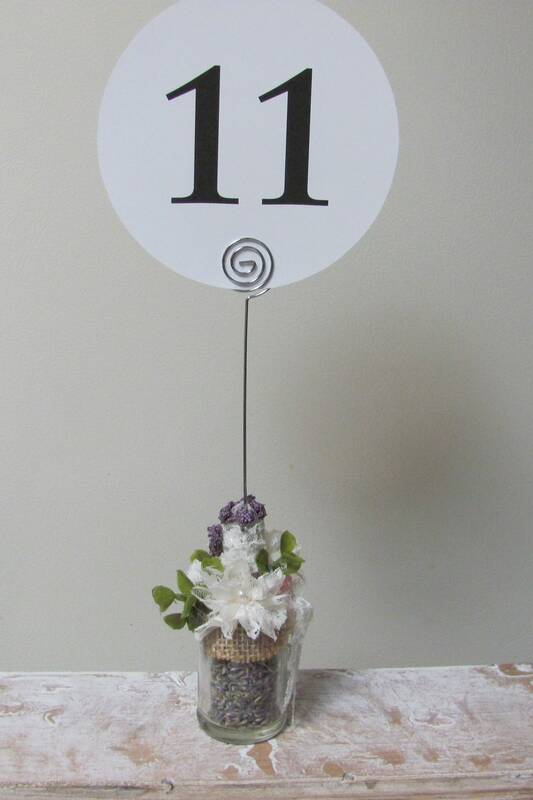 A metal card holder will allow you to insert your own table number cards, photos, menus or signs in them. 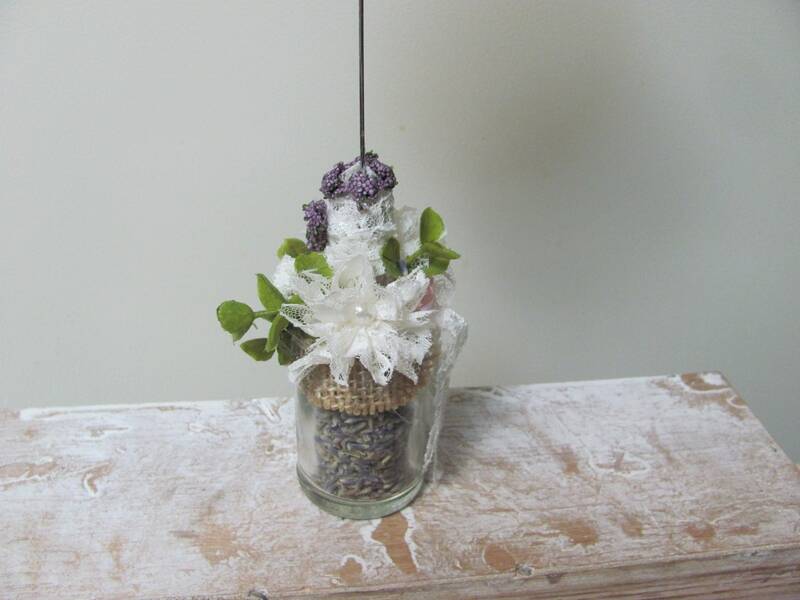 the glass bottle stands approximately 4.5 inches tall and is about 1.5 inches in diameter. 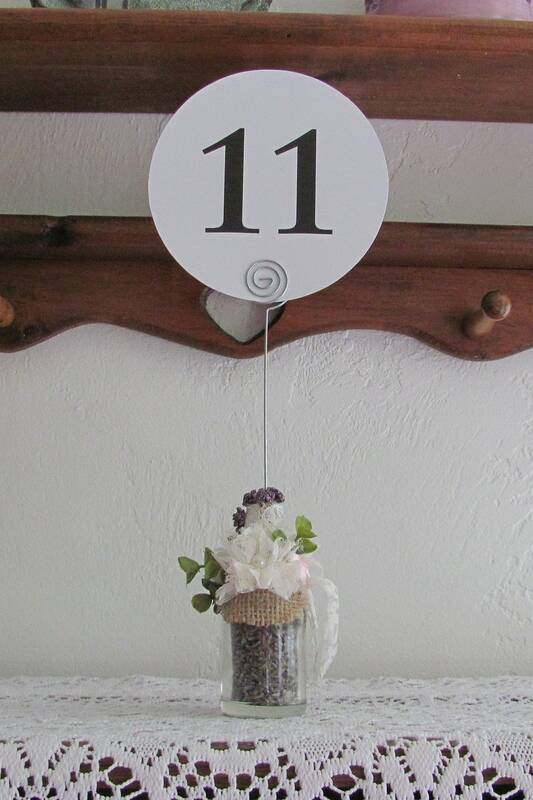 Bottle is a good weight so it holds cards nicely. 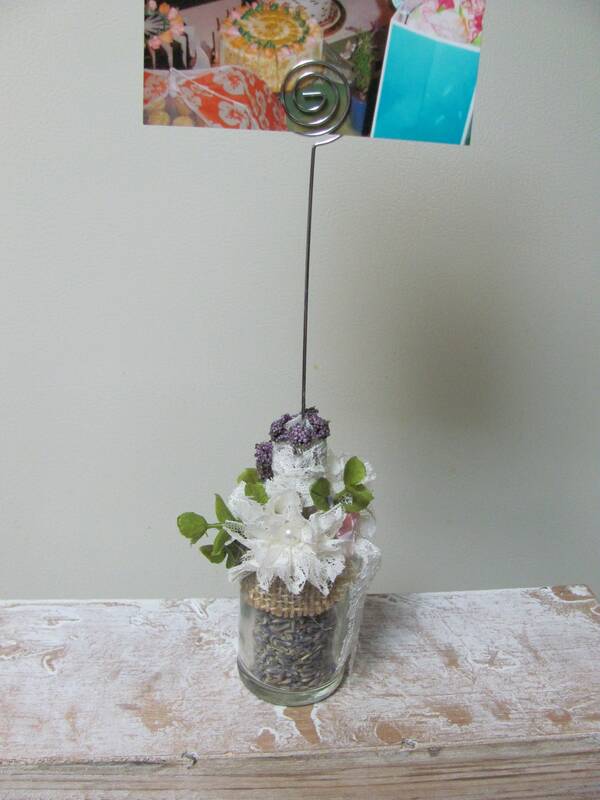 The metal card holder is about 4.5 inches tall. 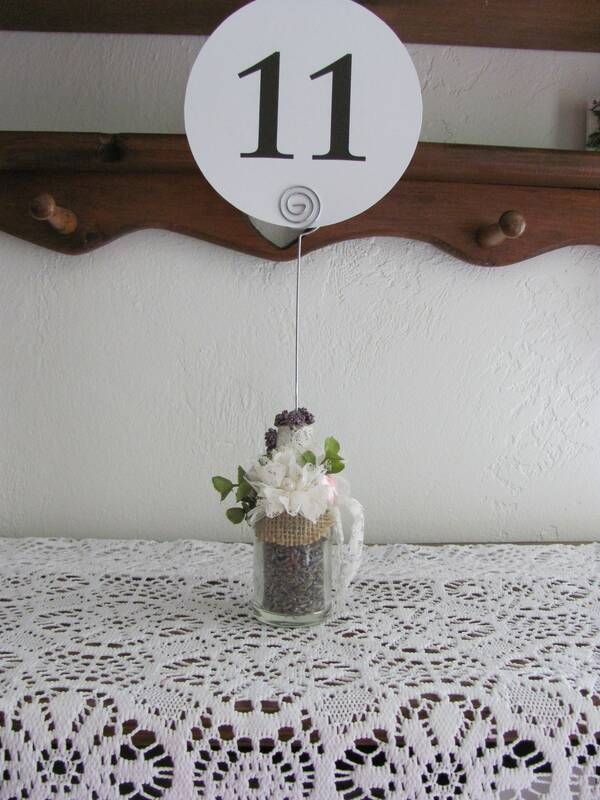 You can request a 2.5 inch tall metal holder if you are using them for place card holders.